Islamic State proves the late sniper was right about the ‘savage’ enemy. ‘Savage, despicable evil. That’s what we were fighting in Iraq.” Those were among the words the late Chris Kyle, of “American Sniper” fame, used to describe the enemy he and fellow veterans of the Iraq war faced. After seeing images this week of Islamic State jihadists murdering a caged Jordanian pilot by burning him alive, can there be any real doubt that Kyle was right? We say this as a corner of liberal America has fallen over itself denouncing Clint Eastwood ’s blockbuster biopic of Kyle, who was killed in 2013 by a deranged Marine veteran. HBO’s Bill Maher called him a “psychopath patriot,” and other Hollywood action heroes like Michael Moore have weighed in similarly. Their view is that Kyle must have been inhumane since he killed scores of enemy fighters without being burdened by a guilty conscience. Yet the kind of butchery that Islamic State likes to advertise via YouTube was the reality Iraqis routinely faced when the Islamic State’s forbear, al Qaeda in Iraq, terrorized entire cities and towns during the height of the Iraq war. “An Egyptian hostage was taken out of the trunk of one of the cars, dressed only in his undergarments, his entire body black and blue from beatings,” wrote Jean-Charles Brisard and Damien Martinez about the methods of Abu Musab al-Zarqawi, the late leader of al Qaeda in Iraq who was killed by the U.S. in 2006. The account of this killing—one of thousands carried out by AQI—continues this way: “The kidnappers then tied the Egyptian’s hands behind his back and asked him to state his name. . . . After complying, he was about to apologize for his acts, but a man gave a sign to the ‘executioner’ standing behind the hostage, who grabbed the man’s tongue and cut it off, stating that the time for excuses was past.” The man was then beheaded. 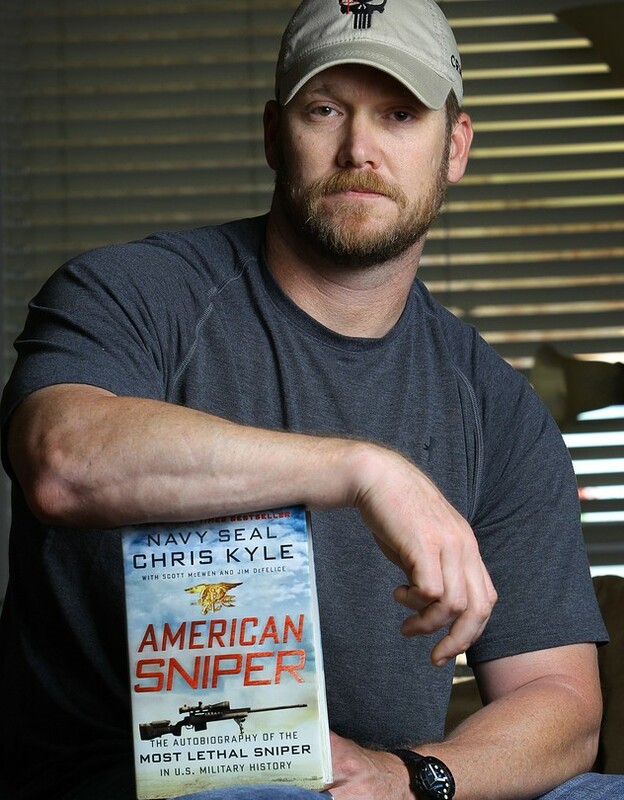 It was on such executioners that Chris Kyle trained his sights. Messrs. Maher and Moore may want to hold up the Iraq war as evidence of American perfidy, but as the atrocities of Islamic State are again reminding us, the moral balance in that war was exactly the opposite. No wonder millions of Americans admire Kyle and are flocking to see the movie that treats him like a patriot in full. Posted on February 5, 2015, in Postings. Bookmark the permalink. Leave a comment.